The space that eSports currently occupy is undeniable, the thousands of spectators daily and the pompous championships are proof of that. Now, for the first time, the United States will receive exclusive structure for the segment. 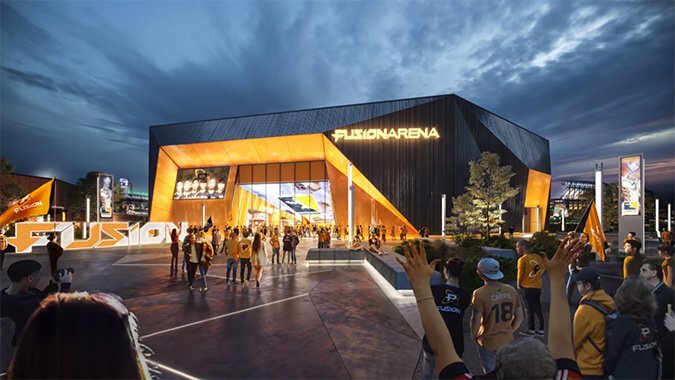 The approximately 5,500 square meter arena will be the new home of the Philadelphia Fusion, Overwatch League team. According to Comcast, owner of the team’s brand, the investment will be $ 50 million in the new space, which will not only feature the stage for big games. The arena, besides hosting the great games of the Philadelphia team, will have space for the production of events; a large lobby and a training area filled with computers ready for athletes. The highlight, as you would expect, is the huge stage. There will be 3,500 seats; 2 bars; chairs with USB ports; cabins and exclusive banks. Although dedicated to the Philadelphia Fusion, the arena will not be exclusive to Overwatch. The space will be used for other major events in intervals of the Overwatch League. The arena will be built in a sports complex in south Philadelphia. It is expected to be ready for use early in 2021. This should not be the only stadium to appear in the West. 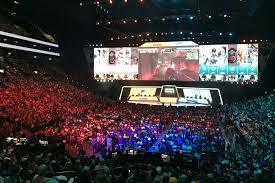 The current Overwatch League format takes all games to the Blizzard Arena in Los Angeles; however, Blizzard has announced that it intends to allow teams to play in their own cities from 2020, so different places will be used. With this, players in the league will have to travel constantly to face their opponents in warm matches. The new format lacks details, however, more news like this one from Philadelphia Fusion should come soon.